Finally, your lower half can enjoy the downy softness that your upper half has been raving about all these years! The Orgeval Skirt 2.0 from Eider combines soft down insulation and a flattering fit for the ultimate in cute, cozy winter fashion. 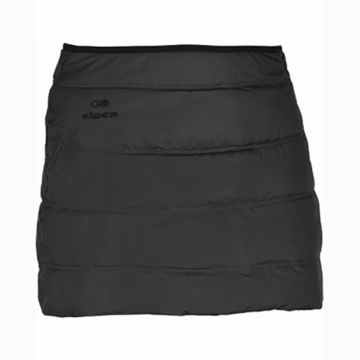 The skirt's short length allows for unimpeded movement during walking or hiking, and can just as easily be layered over a pair of leggings or yoga tights for a stylish look. The Orgeval Skirt 2.0 will be an absolute must-have in your winter wardrobe this season!